Need a unique gift idea? Planning a party and need favors? Getting married and need gifts for your bridal party? Let us help you make your next event "soaptastic!" We can personalize your order with color, scent, and ingredients like these baby shower gifts. 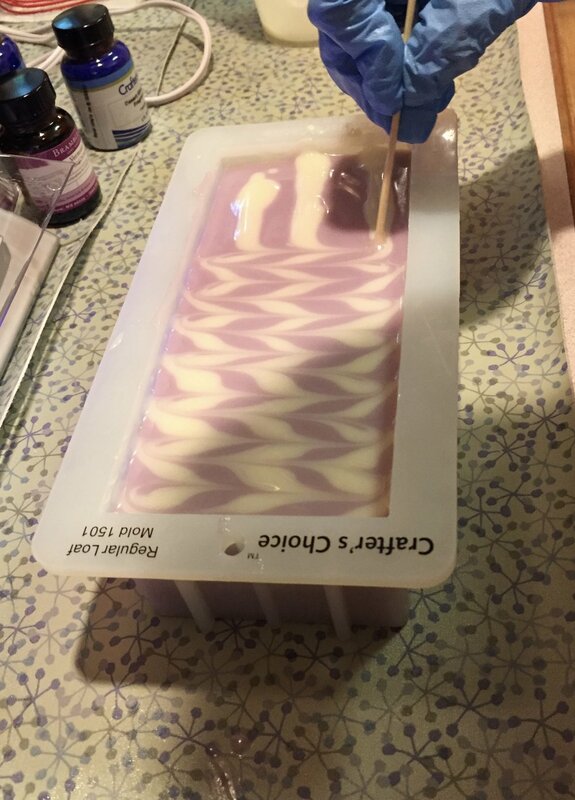 This soap was made with our master blend of oils along with Shea Butter, Goat's Milk, pale pink colorant, and comforting Chamomile fragrance for a truly unique favor! Each order is designed to your specifications and then hand-crafted to ensure quality. Since no two orders are identical, you can be assured you are giving a truly unique gift or favor. We love custom orders! To fulfill your custom order, we need a minimum of 6 weeks notice for soap and 3 weeks notice for other products as well as a 50% deposit. This allows us ample time to design and craft your perfect gift! Please send us a note via the Contact button. We will then set up a phone appointment to discuss your order.